Hartland, A., Zitoun, R. (2018) Transition metal availability to speleothems controlled by organic binding ligands. Geochem. Persp. Let. 8, 22–25. Marsden Fund (UOW1403) and Rutherford Discovery Fellowship (RDF-UOW1601). Omanović, D., Garnier, C., Pižetaa, I. (2015) ProMCC software. https://sites.google.com/site/mccprosece/download. ). Error bars are 1 standard deviation. (b) Correlation between the total Cu concentration ([CuT]) and corresponding Cu ligand concentration. For all samples which plot above the 1:1 dashed diagonal line, one can assume that all available Cu is strongly complexed to organic ligands. Vertical error bars represent the fitting error in [L1]. WP = Waipuna Cave (n = 24), F = filtered, UF = unfiltered; HC = Hodges Creek Cave (n = 6); NB = Nettlebed Cave (n = 2); LXM = Mt Luxmore Caves; Daves Cave (n = 3) and Calcite Cave (n = 2). ). 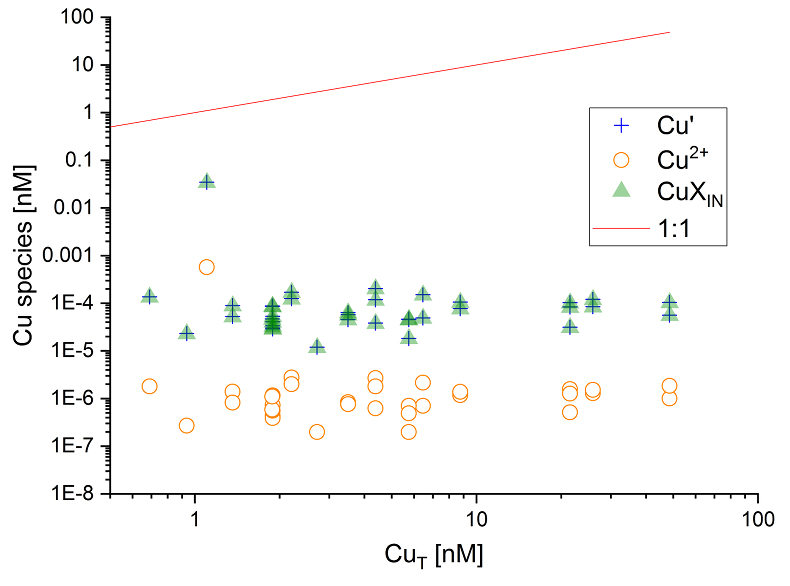 [Cu’] are consistently low despite widely varying [CuT] demonstrating the dominant influence of organic ligands in these samples. 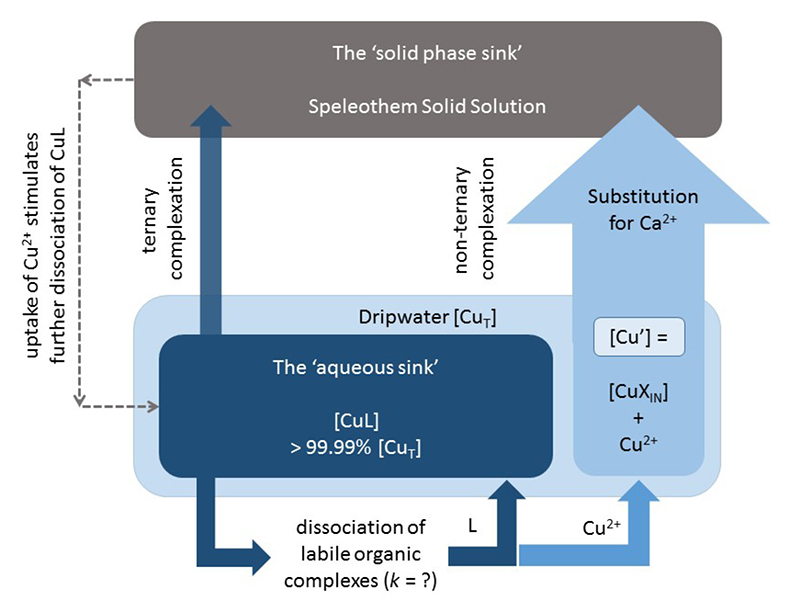 Figure 3 Conceptual diagram illustrating the influence of Cu ligands on the incorporation of Cu in speleothems.